Tools of the Trade – Left Behind. I stumbled upon some of my old tools of the trade the other day. It makes you realize just how much the computer has changed the way the graphic arts world goes about producing work today versus 20 years ago. I challenge anyone younger than 40 to tell me what this typographic reference of numbers was used for – never mind knowing how to use them. 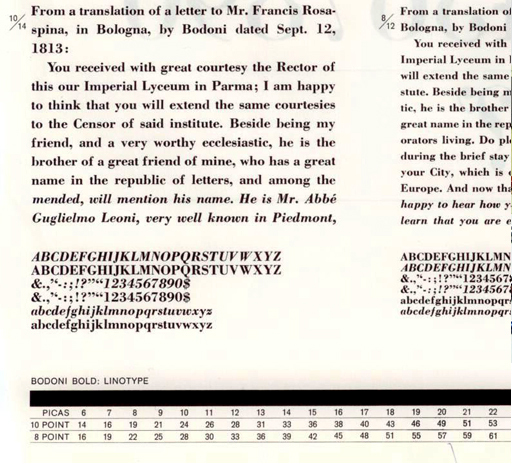 Oh – the lost art of specing type. How about the smell of rubber cement. Who can forget that? 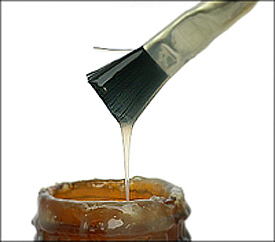 Of course they came out with new technology – hot wax – to replace it. But then rather than worrying about the fumes doing you harm, you had to worry about 2nd degree burns. Take a look at all these. Which do you remember using? T-square, triangle, rubber cement pick-up. Dr. Martin’s ink, Design markers and ruling pen. 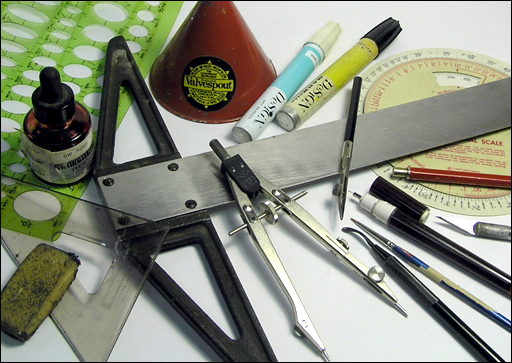 Burnisher (for all that Letraset), compass and templates. Rubber cement thinner, X-acto knife proportion wheel, rapidograph, mechanical pencil and small paintbrushes. These are just a few of the many items we had on, under and around our drawing boards. What do you still have laying around your studios? It’s hard to throw away these relics. They’re all a part of our past. I am an independent designer and marketer operating my own enterprise, rBAUERdesign, based in Grand Rapids, Michigan, I have an understanding of, and dedication to, the design and marketing process of firms in need of communication solutions. I bring my design, layout, creative and art direction experience and knowledge as well as applied and tested marketing applications from the advertising agencies and marketing firms I've worked at for over 25 years to every job I touch. Use caution when using Adobe Creative Suite and OS X, Lion. Important production tip for freelance graphic designers.